If you know me well, you know I LOVE College Football. When I was little, you could always catch me glued to the couch all day Saturday watching games for teams I had no ties to even if my dad couldn’t watch with me. 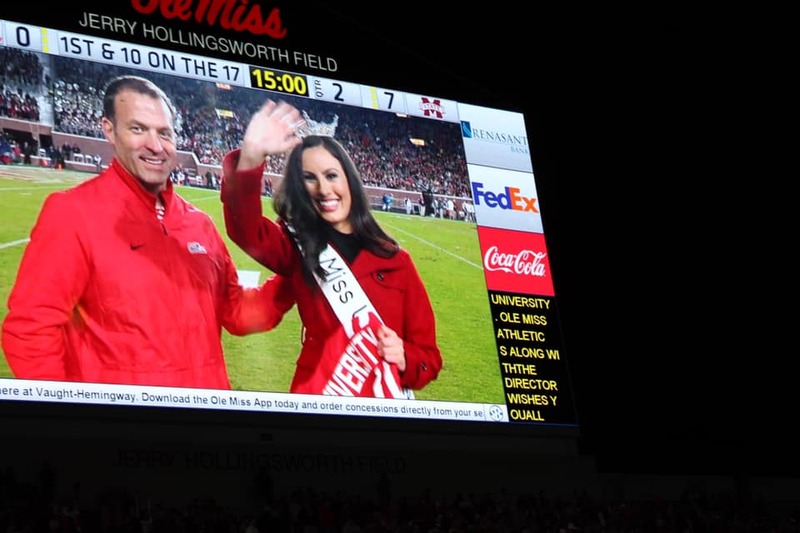 When I got to go to a game, I would make everyone stay to the end of a total blowout game and dance like crazy just to try to get on the Jumbotron. 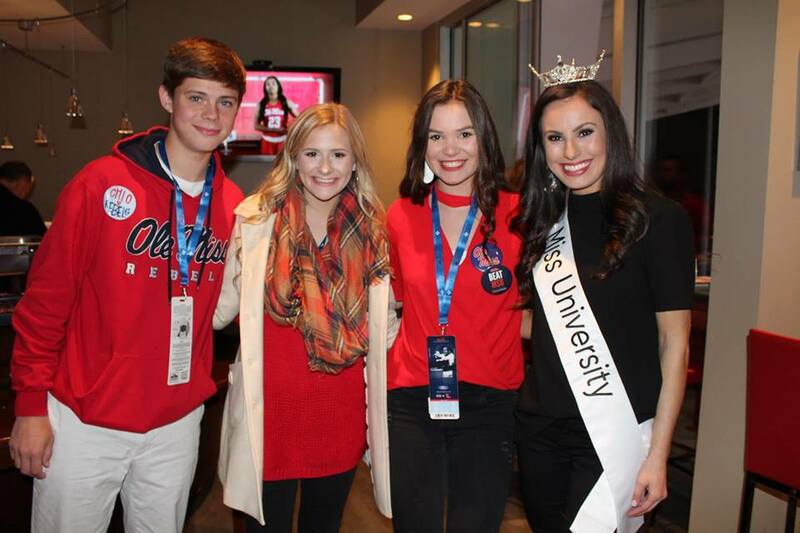 If little Blair had known what she was going to do during the Egg Bowl in 2018, she would have FREAKED OUT! My last game as a student was a day I will never forget! 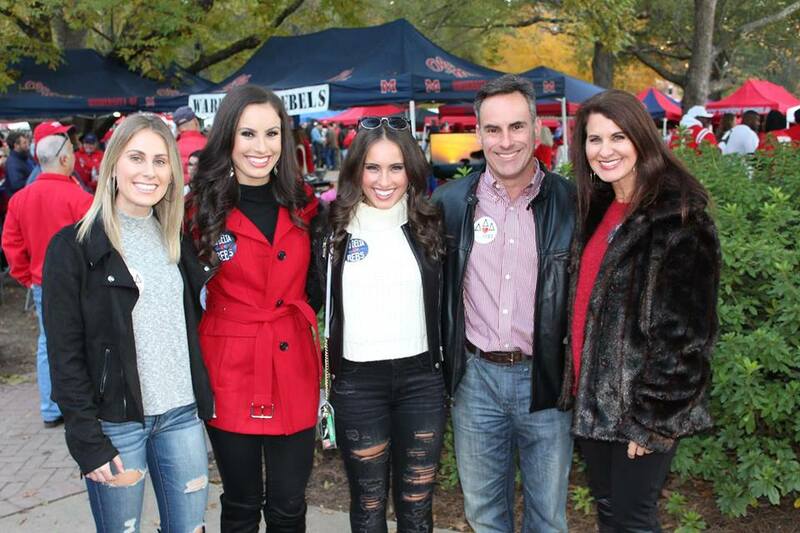 My precious family joined me for a super unconventional Thanksgiving Day in Oxford (keep in mind I come from a family of 2 Arkansas Razorbacks, a UCA Bear and an Alabama… Elephant??) Anyways, it meant the world to me that they would all spend their holiday being Honorary Rebels with me! We had Thanksgiving dinner at the Tri Delta House and then made our way through the Grove to see all of our friends that were celebrating their thankfulness the way we were! We met up with my incredible director, Bradley Baker, and headed into the game. 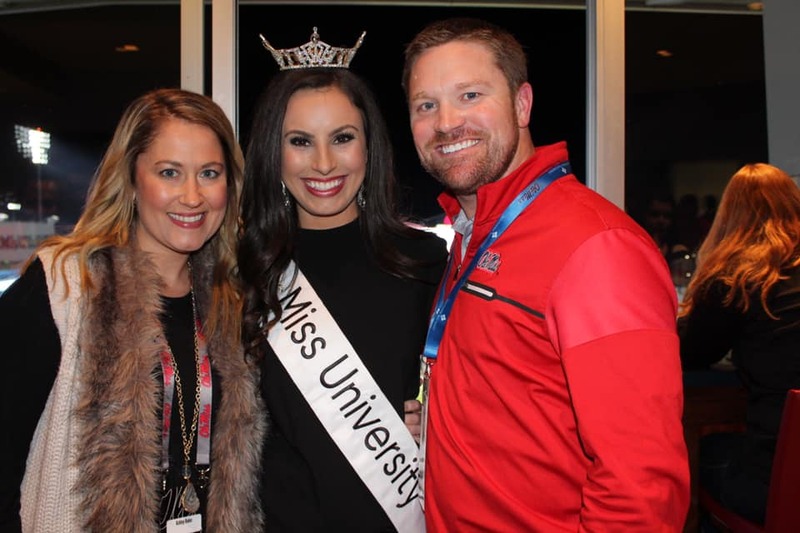 My game day attire was complete with my crown and sash, and we made our way in. 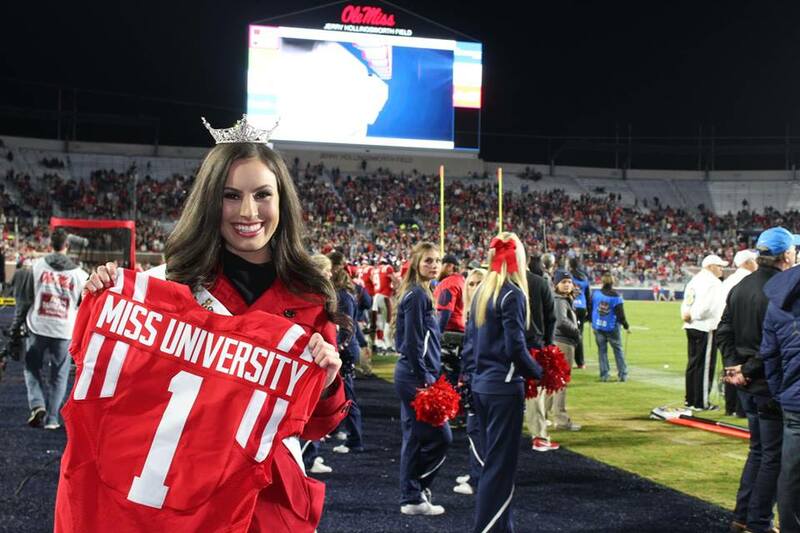 At the end of the first quarter, I was introduced on the field in front of a nearly full Vaught-Hemingway Stadium. 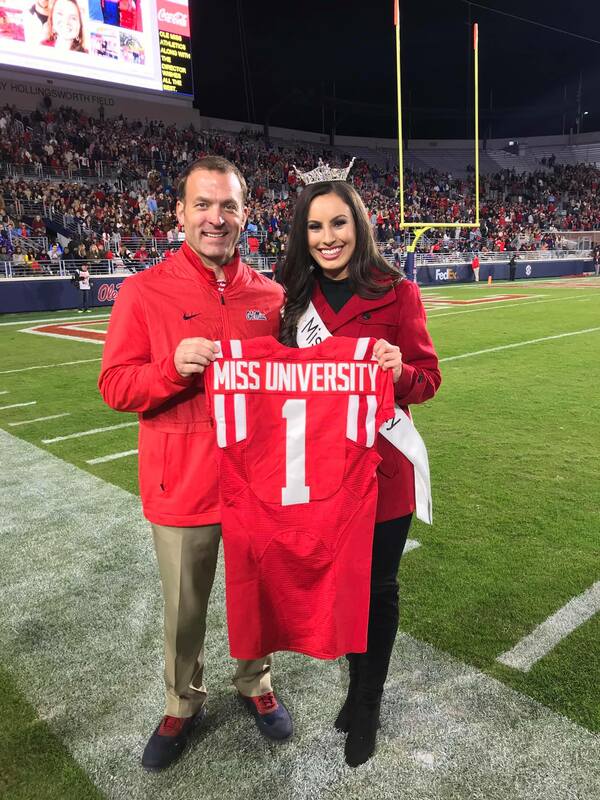 Ross Bjork, the Ole Miss Athletic Director, presented me with my very own Miss University jersey (Little Blair was screaming on the inside!) Check out the video here! 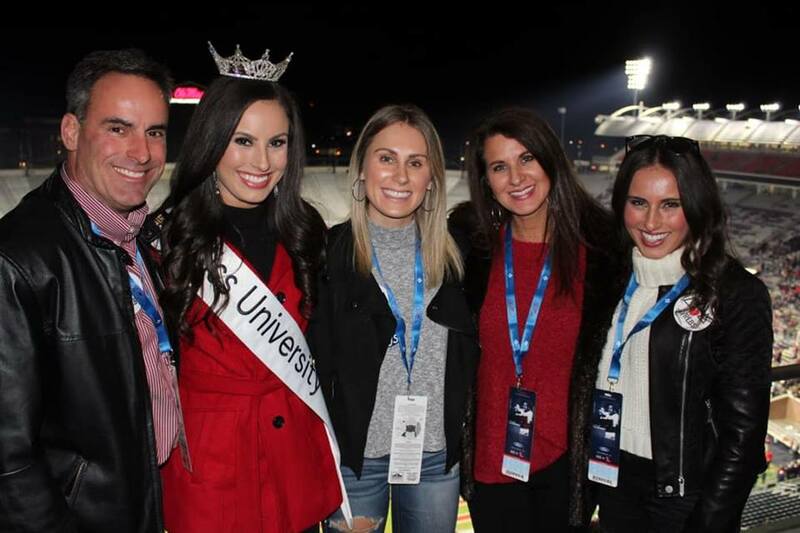 After that incredible experience, we spent the rest of the game in the Chancellor’s Box. It was so fun getting to watch the game from the great view and in the warm! The 4th quarter got a little emotional for me. 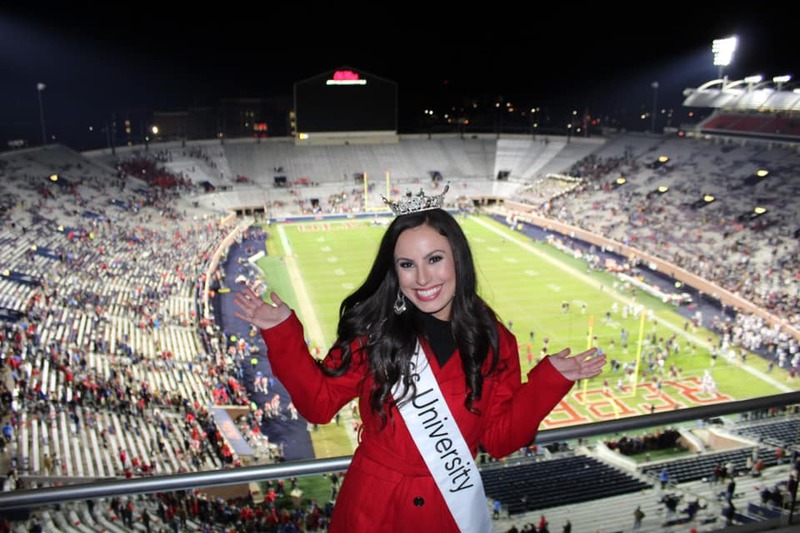 My 4 years in the Vaught have been some of my most special memories during my time at Ole Miss, and I am so THANKFUL I was able to send off my undergraduate career on such a high note! I will be back for many more games in the years to come but will always remember this special one! Thank you to everyone who made this experience possible; it was a serious dream come true for this football lover!! !